With heavy hearts, we announce the sudden passing of David Albert Snow on April 15, 2017. He leaves behind his beloved children Alan, Angela, and Jennifer; his mother, Grace; sisters Linda and Catherine (Chris); partner Patti-Lynn Coleman and her children Allison and Andrew; nephew Louis; nieces Caitlyn, Christa, Victoria, and Margaret; work wife and friend Ann Simmons; and a wide circle of extended family, friends and, colleagues. Predeceased by his father, Victor Snow, and brother-in-law, Chris Fisher. A Biologist and Naturalist, David was passionate about all creatures great and small and for their well being. David pioneered environmental tourism in the province and helped establish Newfoundland & Labrador as a cruise destination. Winner of awards such as the Governor General’s Award for Conservation and the Heritage Canada Sustainable Tourism Award and multiple National Geographic awards for his company Wildland Tours. Gone to be with Nicky. Resting at Carnell’s Funeral Home, Freshwater Road. Visitation Wednesday and Thursday 1 pm – 9 pm. Memorial service will take place at the Fluvarium on Friday, April 21 at 5 pm. Interment to take place at a later date. No flowers by request. Donations are gratefully accepted to The Suncor Energy Fluvarium, The Petty Harbour Mini Aquarium or the Wild Things Scholarship at Nature NL. My husband, Tom, and I so saddened to hear of Dave’s death. We were part of a Whale Study Week through Wildland Tours in July 2015. Dave’s great personality, expertise, love of nature and of Newfoundland made that trip one of the most memorable of our lives. We are blessed to have known him-even so briefly. Our sympathy and prayers go out to his family and friends. I’m shocked and saddened by this news. He was one of the greats. I was lucky enough to travel with him a bit in Newfoundland just a few years ago and enjoy his infectious passion for wildlife, Newfoundland and Labrador and the people who came as guests to enjoy both. His passion shined through in everything he did…a real champion for the cause and a super nice guy. My condolences and prayers to his family and friends. He will be sorely missed. Rest in peace. Dear Dave’s Family: I e known Dave Sniw since 1987! We have worked together on issues concerning seabird conservation and he has been a great advocate and steward for Newfoundland wildlife . A passionate person about our wildlife and his job. So sad and shocked to hear that he had to depart so soon! Now I live in U.K so sorry not able to come to the funeral and pay my respect dear friend! May you rest in peace and my deepest condolences to the family. I have just returned from travelling and so did not learn of this very sad and sobering news until just now. I am remembering a glorious boat trip with Dave over 25 years through the islands of Placentia Bay when I first learned to look upon the natural world with new eyes through his knowledgeable, enlightening and insightful interpretation. He was not only a biologist and environmentalist, he was also – true to his heritage – an entrepreneur and innovator. We always kept in touch – he with challenging ideas and striking perspectives, and me running to catch up. What a legacy he leaves, and what richness on which to keep building in the place he loved above all. I was quite taken aback when I learned of Dave’s passing. I got to know Dave last year when I helped organized the bus tours for the cruise ships here in Twillingate. I thoroughly enjoyed the experience and was looking forward to be a part of any such activities this year. My sincere sympathy goes out to all his family. Linda and family my sincere Sympathy to you and all your family .Kent Peyton. On behalf of all of us with Parks Canada, Newfoundland East Field Unit, I would like to extend our condolences to Dave’s family and his many friends and colleagues. Dave was a driving force behind our burgeoning tourism sector and a passionate voice for the environment in Newfoundland and Labrador. Through Wildland Tours, Dave brought many thousands of visitors to our national parks and national historic sites and worked closely with us to help visitors engage with these protected heritage places in memorable and meaningful ways. Dave was also a founding partner of the Whale Festival at Cape Spear Lighthouse National Historic Site, an annual event that now draws hundreds of participants each year. We valued Dave’s knowledge, passion, commitment and energy and he will be sorely missed. I was sad to hear of your loss. I’m thinking of you and hope that family and friends will help you get through this difficult time. It is with great sadness we write a note to you regarding your dear brothers death. We remember Dave as a man who always had time to share regarding anything to do with our natural environment. He was kind and caring.We are sorry for your loss. Absolutely shocked and saddened to hear the news. The province’s environmental, cultural and business communities were all better for his contributions. A passionate and caring individual, always upbeat and exuberant about all things Newfoundland and Labrador, he was a pleasure to work with and a joy to know personally. My deepest sympathies to his family and those closest to him. My deepest sympathies and most sincere condolences to Dave’s family and friends. I had the honour to work with Wild Land Tours during the summer of 1997. The opportunity Dave gave me opened my eyes to the beauty and wonder that is Newfoundland’s incredible natural and human history. I am forever grateful to him for allowing me this experience. Newfoundland and Labrador has lost one of its most passionate supporters, promoters, and protectors. Dave… I will miss you! ! My sincerest condolences to family and friends. Our deepest condolences to Dave’s family, friends and co-workers. Dave was one of the most passionate and sincere individuals we have ever had the opportunity to meet, a kindred soul with a love for the natural world of our province. His knowledge and energy have been an inspiration, and we were fortunate to have known and worked with him. Our thoughts and prayers are with you at this difficult time. Dave was a really good friend, like a brother. He was a real gentleman dedicated to his work and children. He build up Newfoundland tourism in his own way, HE WILL BE MISS BUT NOT FORGOTTEN Our deepest sympathies to his family and the many people whose lives he touched. I was shocked to hear of Dave’s passing at such a young age. He was SAEN”S first Project Manager on the St. Mary’s Bay Salmon Enhancement Project. The Project ultimately achieved a sustaining wild Atlantic Salmon population on Rocky River through the deposition of well over a million salmon fry coupled with the construction of a fish ladder around impassable falls at the mouth of the river. It was only a week or so ago that I spoke with Dave at the Foran Room at City Hall. Sadly he still had much to give as a skilled, experienced biological environmentalist who loved all wild things. My deepest sympathy to all his family. Still can’t believe it. My heart with you. We were saddened and shocked to hear of Dave’s passing. I was lucky to have run into Dave last summer when I was back in St. John’s for a short visit. We shared a couple of beers and a few good laughs about our childhood days growing up on Appledore Place. Dave was a good friend, and will be missed, but not forgotten. He was a good man who could always get you to laugh. Our sincere condolences to Dave’s family, his mom, and Linda and Catherine. To Dave’s Family, Friends and Staff..I was saddened to hear of Dave’s sudden passing. I had the pleasure of working with Dave for many years at our Motel. Anne my heart goes out to you the loss is great. I can’t believe Dave is gone. He was a wonderful friend throughout high school and our undergraduate years at MUN. Even though we had not kept in close touch in recent years, we will always remember him. Our deepest sympathies to his family and the many people whose lives he touched. 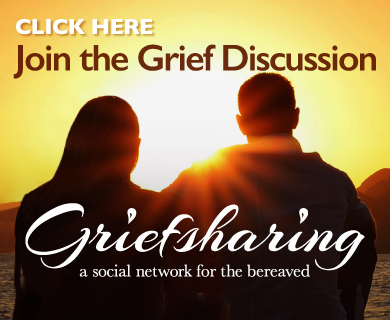 Grace, Catherine and Linda, I was heartbroken to learn about the loss of your cherished son and brother. The numerous accolades posted by friends and colleagues of David serve as testament to the wonderful individual he was. His presence, though tragically cut short, leaves this world a richer place. My thoughts and prayers are with you. I was shocked and saddened to hear of Dave’s untimely passing. I will miss his curiosity towards all things natural, and his earnest concern about whale biology and conservation. “Wild Things” is such a comforting part of my St. John’s – and I will think of him every time I see that welcoming sign. I offer my sincere condolences to his family and friends. My deepest condolences to Dave’s family, colleagues and friends. Dave was a classmate of mine and I knew him as an intelligent, kind, generous and fun loving soul. While we fell out of touch it was nice that our paths crossed once again through Darrell. My thoughts are with you at this very difficult time. Always keep your memories close to your heart. I was saddened to hear of Dave’s sudden passing. He was a pioneer in Newfoundland and Labrador’s tourism industry and will be greatly missed. My thoughts and prayers are with you at this difficult time. I genuinely regret your loss. I hope that in due time your family receives God’s peace that excels all thought, so that it will guard your hearts and your mental powers by means of Christ Jesus. God is called the Father of tender mercies and the God of all comfort, who comforts us in all our tribulation. Rest assured that God cares for all his creatures and he would never bring us suffering. A soothing scripture I like is Psalm 34:18 which reads: “Jehovah is near to those that are broken at heart, and those who are crushed in spirit he saves.” He promised that in the Paradise, we will have the prospect of enjoying life without end, free from all problems, accidents, and sickness. Even our dead loved ones like David will be resurrected. (Psalm 37:9, 29; John 5:28, 29) With all my sympathy for the loss of someone so dear. We are so sorry to hear of Dave’s passing and express deep sympathy to his family and co-workers. Dave’s memory will live on in those he loved and those whose lives he has touched. We hope you find comfort in each other and in your memories of Dave as we will. God bless. NL has lost one of its dearest lovers of nature. Dave was passionate about our natural history and took great pleasure conserving it and educating others about its diverseness and distinctiveness. I had the pleasure of working with Dave on the Rocky River Salmon Enhancement Program where he developed the first Atlantic Salmon Enhancement Training Manual in Atlantic Canada, a Manual which was used extensively by many conservation groups afterwards. Kathryn and I also had the pleasure of conducting tours for Dave on many occasions. Dave was a great person to work with and always had a positive attitude and contagious smile. Dave will be missed- but forever remembered for his dedication to protecting our natural environment. Our condolences go to Dave’s family, staff, and Ann. Saddened to hear of the paasing of our dear friend David Snow. May god surround and comfort you at this devestating time. Sorry we can’t be with you at this time but be assured our thoughts and prayers are with you. May god bless you. So sorry to hear of David’s sudden & untimely passing. Please accept our deepest sympathy at this sad time in your lives. Our sincere condolences to the Snow family. To say we are in shock at Dave’s sudden passing is an understatement. He was beloved by all that knew him and he has left such a positive mark not only in our community but also in our hearts. He was a loyal friend and collaborator with the Quality hotel for almost 20 years and his presence in the lobby will be greatly missed. To Ann, we cannot begin to imagine the loss you are experiencing and we offer our support to you through this very difficult time. So sorry to hear of Dave’s passing. I’ve been away on holidays and just heard the sad news. My thoughts and deepest sympathy to you all. I have many fond memories of times Bruce and I spent with Dave when we were doing tours. Keep your thoughts of him, your memories, your family and friends close as you face the difficult days ahead. God bless. Dave not only loved nature and made a significant contribution to conservation, but more importantly he was a kind and generous person. He will be missed. To Linda, Cathy and Family. I am so sad to hear of Dave’s sudden passing. Our thoughts and prayers go out to you all. So sad to hear the news of Daves passing. My condolences to the Snow family. Thoughts and prayers at this difficult time. My heartfelt condolences are with you all on Davids passing. I am so sorry for your loss and will keep you in my prayers. To all of Dave’s family, and staff at Wild Things and Wildland Tours…especially Ann…I extend my heartfelt condolences for your great loss. What a guy Dave was! I first met him in 1992 when we were both hired by the Atlantic Salmon Federation to promote an education program in support of our recreational fish stocks. I have many fond memories of him and I, and his dog Niki, traveling throughout NL delivering egg incubators to schools participating in the ‘Fish Friends Program’. His zest for life, and his passion, knowledge, and love for all things wild was second to none. But in addition to this he loved his family and friends. He was a wonderful and generous person, always smiling, always glad to see you, and most of all a genuine true friend to all who knew him. I am so glad that kept in touch through the years and I feel so fortunate and blessed that I had the opportunity to meet with him again when I was in St. John’s just two weeks ago. You left us much too soon good buddy, and I am really going to miss you. We were so saddened to hear about David’s sudden passing. He was a wonderful man who was well respected in the community and will be greatly missed. Please know that you are in our thoughts and prayers. I was saddened to hear of Dave’s passing. My sincere condolences to his family and friends. My heart is heavy with the news of the sudden passing of Dave.He was a good friend,a excellent boss and overall the man you would to meet and be lucky to call your friend.The cruise ship industry will not be the same without him.All my love to his family for I kniw your hearts are heavy.You will always be remembered Dave,all my love,your friend Lynn. So sorry to hear the news about Dave. He cared so much and did so much to preserve and protect NL wildlife in all shapes and forms. He also was a great people person too – always enjoyed his radio segments on CBC. He leaves a great legacy. To the family of David, my deepest condolences on his passing. I first met him in 1984 when we did a Salmon Enhancement Course in Noel Paul’s Brook and we have run into each other from time to time. During our last encounter on Water Street a short time ago, he was as always, passionate, enthusiastic and a joy to see. May your pleasant memories help carry you in your time of grief. We are so saddened to learn of Dave’s passing, far too soon. Professionally, Dave was instrumental to the growth of the cruise industry in Atlantic Canada, and he and his amazing team set the bar high for excellence in shore excursions. Personally, Dave was a dearly loved friend to many of us. We had the great fortune of commiserating with Dave on many occasions over the past more than 25 years as our businesses grew. He was an inspiration, particularly with his commitment to excellence and education, passions which we share, and we are honored to make a donation to his scholarship fund. Our sincere condolences to all of Dave’s family – the Snow family, the Wildland family, and the Wild Things family – he always spoke so highly of all of you. And an especially big hug to his work wife, Ann – you made an incredible team. Dave will be fondly remembered and greatly missed by his friends at Aquila. Wow. Sending condolences to the whole family. As my dad wrote, David was “part of our family” when my brother and I were kids. I remember going on nature camps that he led where his passion, knowledge and excitement of the natural beauty that Newfoundland has to offer was infectious. Lots of good memories! We are very sad to hear of Dave’s passing. Our condolences to the Snow Family, Ann and to all the staff at Wildland Tours. We have had to pleasure of working with Dave in the pass and rest assure he will be dearly missed by not only myself and Glenn but by all our bus drivers that have gotten to know him. I’m very sad to hear of Dave’s untimely passing. Dave was a giant among Newfoundland environmentalists and conservationists. His unwavering support for environmental causes great and small was an inspiration. His voice will be greatly missed, but his influence will live on – I have no doubt. To Dave’s Family, it is with great saddness that I learned of Dave’s untimely passing. I worked with Dave at Rocky River Salmon Enhancement Project in Colinet for 16 years in the 1980 – 90’S. His dedication to work, enabled a great and prosperious project and he was a delight to work with. My deepest condolences to his family. God bless you Dave, RIP. Sending my sincere condolences! Dave was a remarkable man with a tremendous passion for everything he loved. I hope you find comfort in memories of him during this very difficult time. My thoughts and prayers are with you! So sorry to hear of Dave’s passing.He had a passion for the outdoors and tourism in St John’s..He will be missed by his family and our community. Michael Boyle of Boyle Tours..
Sending my sincere condolences on your tragic loss. Dave was a wonderful father, brother, son and friend to so many. I had the good fortune to meet David in 1999 when I did a Whale Study Week. He was an incredible person who taught others so much about the natural world around us. I know there is nothing I can say that will ease the pain of loss you are feeling now and will continue to experience. Cherish your memories and take care of each other. We are so sorry to hear of Dave’s passing. Our condolences to the Snow family and to all those who worked with Dave at Wildlands. Getting started in the adventure travel business about the same time as Dave our paths crossed many times, especially in Bonne Bay and at the HNL conventions. He was certainly passionate about Newfoundland and Labrador, a great advocate for wildlife and wild places, and a pioneer in the development of adventure and nature travel in our province. He will be missed. My sincere condolences to Dave’s family and to Ann. I was shocked and saddened when I heard of Dave’s sudden passing; his deep passion for the world around him, particularly for its wild creatures, will be sorely missed in Newfoundland and Labrador. He was unfailingly thoughtful and generous to the travellers who had the good fortune to book with Wildland, and their perceptions of this place were shaped by his interpretation. This province will be a very different place without him. I worked with Dave when he was with the Atlantic Salmon Federation back in the 1990’s. I remember his wit, knowledge and wonderful way he told a story. So sorry to hear of his passing. Thankfully, I got to chat with him a couple of years ago. He will deeply missed by all who knew him. My condolences to his family. I have just arrived in Athens after a long flight from Sydney, Australia. The first message I saw upon my arrival was from Callum Thompson who passed on the terrible news of Dave’s passing! I am in deep shock and cannot believe that the wonderful Dave who was the first student that I came to know and dearly love from my first years of teaching at MUN. Dave was my first collaborator during the UFFI days. His achievements in initiating and promoting ecotourism in Newfoundland is a wonderful legacy that he leaves, his enthusiasm and cheerfulness will be deeply missed. While I was in Brisbane on the 6th of April, Dave wrote to me about the giant squid that I had just seen at the Brisbane Science Museum. That is why the news of his passing is even harder to come to grips with. He will be sorely missed by all. I am sorry that I will not be able to be present for the visitation and his funeral and to be with his loved ones. I am shocked and saddened by Dave’s untimely passing. To all members of his family and Ann I extend deepest sympathies. Unfortunately I am out of the country and won’t be able to see you in person. I worked with Dave during my years in the provincial Tourism Marketing Division and always enjoyed his delightful energy and attitude. He was a breath of fresh air for sure. But his contributions to the NL tourism industry will be missed in many ways. R. I. P. My friend. Sorry to hear the news of Dave’s passing. I first met him over twenty five years ago, as a young, passionate interpreter at the Fluvarium. His love for the natural world obviously never wavered. My sincere condolences. We were shocked and saddened to hear the news of David’s passing; my heart aches for you Grace, Linda, and Catherine; I know how much you all loved David. My thoughts and prayers are with you during this difficult time. I first met Dave when he was a student in a couple of my biology classes at MUN. He impressed me even then with his passion for both biology and his province, but more than that he impressed me as a nice guy who was always ready to help others and always managed to be upbeat and optimistic. Since then, I have watched with interest as he forged his career and blazed a trail for eco-tourism in Newfoundland and Labrador. We had only occasional contact, but those qualities I saw in him earlier continued to shine, and he was a credit to his province and his profession. Dave’s untimely passing has shocked and saddened a very wide circle of colleagues and friends. My sincere condolences to his family – they have lost a very special person. Dave was a pioneer in the development of eco tourism in Newfoundland and Labrador. He brought the beauty of our province to the attention of the World. My siincere condolences to the Snow and Wildland families,especially work wife Anne.Everone who knew and worked for Dave,realized his passion for our province and its environment.Newfoundland has lost one of its finest tourism icons and it was a honour to say i knew Dave . Our deepest condolences to the Snow family. Such a tragic loss of a dedicated family man, a true lover of nature and a great friend. I was saddened to hear of Dave’s sudden and untimely passing. A man who was liked by many, a passion for life and his work. He will be missed on the West Coast. I had worked on occasion with Dave over the past 20 years as an employee of the Glynmill Inn in Corner Brook. The staff were saddened at the news. Dave may you rest in peace and soar above the natural wonders that you so embraced. Thank you for being you and showing others the true Wildland that you called home. With sincerest condolences to the family and Co-Workers who loved you dearly. Deepest condolences to each and every member of Dave’s family on the sudden and profound sadness of his untimely passing. We miss you Dave . Our deepest condolences to Linda and to all of Dave’s family and loved ones. You are all in our thoughts. Linda. Condolences on the loss of your brother. RI David. To Linda and Catherine, I am so sorry for the loss of your brother. May great memories provide some comfort to you at this very difficult time. Take care…. Dave was such a great Man ….. I have so many memories of him visiting our home in Colinet when I was a child….. sending love and hugs to his Family . We are deeply saddened at the loss of such a wonderful man.We have partnered many times with Dave over the last 30 years and have a deep respect for him and for the work he loved to do .Peace and Joy in the great memories to his family , co-workers . and industry partners . by Rosemary Gatherall for Gatherall's Boat Tours Ltd.
To Dave’s big family and his oh so many many friends , I am saddened to learn of his passing.. He truly was a real fine human being..A gentle, yet funny person too, and oh so kind to all he knew..
Dave,you will be sadly missed by all whom you touched. An unbelieveable loss to this province..
My sincere condolences to Dave’s family. I worked for Dave for over10 years while looking after his children and have many special and fond memories. Dave was a loving and caring father of three beautiful children. My heart goes out to Allan, Angela and Jennifer I cannot even begin to imagine what you’re going through and how difficult all this for you. Please know that I am always there for you. Upon learning the awful news of Dave’s passing, I wish to send my deepest condolences to all. I first met Dave in Junior High and then onward to Prince of Wales Collegiate. I recall his upbeat personality, genuine concern for others, his honesty, laughter and engaging conversations. He always showed integrity as well. We knew a lot of school mates and I know they too are feeling this sadness. Thank you Dave for staying unique, sharing your knowledge and wisdom with the world around you. It was a true honor to know, love and hang out with you. I also want to thank his family for being a vital part of his life. – you gave him the best ie. your time and your love. These are the greatest gifts to give another. 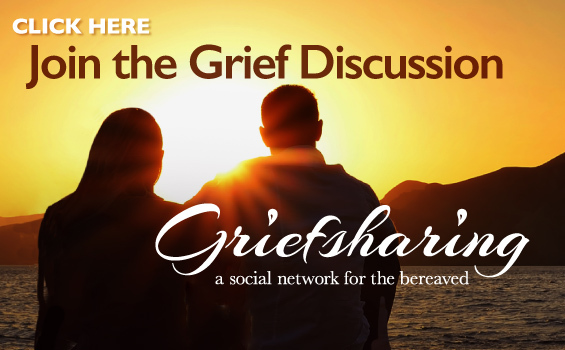 Grief is a difficult and personal journey which is always different for each individual. Please take the time needed to heal for this tremendous loss. May your faith, family, friends, and community reach out to you while always giving the upmost respect at all times. Of course, I will keep you in my prayers, thoughts, and send warm hugs and love to all. Please know I am there in Spirit as you honor him at his service for which I am truly saddened that I cannot attend. Please take care and God bless ! David was a committed biologist and businessman who achieved a great deal for our province’s science and tourism communities. On a personal note David was a great role model for many a biology student at MUN including myself. Thank you David …RIP. I am saddened and shocked by Dave’s sudden passing. I loved visiting him and Anne when on Water Street, always had a laugh. God has you in His arms, but we will forever have you in our hearts. Rest in peace my dear friend, and God bless all your family. Our heartfelt and sincere condolences to Dave’s family, work wife Ann, his friends and co-workers . The NL tourism community has lost a dear friend and true champion of the environment – he will be missed. Deepest condolences to David’s family and friends. To Dave’s family and friends our deepest condolences. Having known Dave from when he first started Wildland Tours, we always appreciated his dedication to his children, his coworkers and to the conservation and preservation of Newfoundland and Labrador’s natural heritage. From the time he started his company Dave’s prime concern was to protect the environment that allowed him to be successful in businesses and life. We have lost a magnificent man. He will long be remembered for his warmth, determination, and dedication. We will miss you Dave. Condolences to Dave’s family and colleagues. Dave was an incredible trailblazer in eco-tourism, natural history, and conservation. We are all richer for his sharing his love and knowledge of the natural world with us. we are so sorry for your loss . We hope that the grief of all those who loved & cared for him will pass quickly . Our heartfelt condolences to the family, and to the extended families that are Wildland Tours and Wild Things. A true friend of nature has left us, but the impact made on do many will be with us always. My sincere condolences to the Snow family. Dave was always so genuine, kind; & eager to share his knowledge on the natural wonders of our wildlife. He will be missed by so many including his hospitality friends & colleagues. Sending my thoughts and prayers to his family and his Wildland Tour family! RIP Dave. Linda, Catherine & Grace. So sorry for your loss. The Phillips family. Marion, Frank Jr. & Steve. My deepest condolences to the Snow family and to the even wider Wildland family on the loss of Dave. I will always remember his ready smile, his bouncy personality and his enthusiasm. My time with Dave and Ann is among the high points of my working career. I will always remember Dave for his big smile and even bigger heart. He was a very good friend to me over the past decade, encouraging me both in my passion for natural history and in sharing it with others. His enthusiasm for nature was contagious, and his drive to protect and care for the wild around us was larger than life. Dave leaves a big void in this city and province – in the world of natural history, in the tourism industry he helped to build, and in the many many lives he touched in his much too short life. I owe a lot to Dave for his support, encouragement, mentorship and friendship and am heartbroken that I will no longer be able to enjoy our great conversations. His legacy is a big one, and the memories he leaves behind will bring smiles for a long time to come. Rest well, friend. My sincerest condolences to Dave’s family.